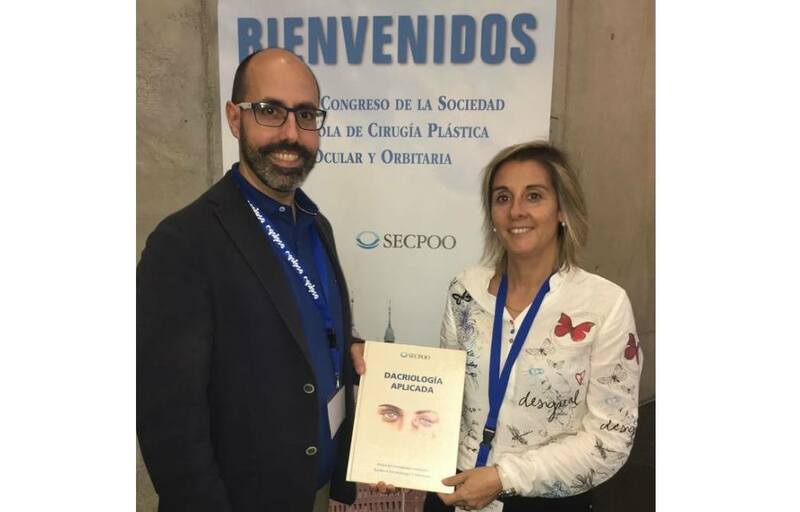 Ophthalmologists from the Department of Orbit and oculoplastics of the ICR attended the 28th Congress of the Spanish Society of Ocular and Orbital Plastic Surgery (SECPOO), that was held in Zaragoza from June 6 to 8. During the congress, the 10th Training Course on Eyelid and Lacrimal Duct was developed, free communications, panel communications, a symposium and round tables served to share knowledge, discuss about progress on eyelid surgery, orbit and of lachrymal ducts, both aesthetic and functional, were held. Dr. Graell and Dr. Ibáñez presented a book about applied dakryology. Dr. Ibáñez, head of the Department of Orbit and oculoplastics of the ICR, and Dr. Xavier Graell have written several chapters of the book “Applied Dracryology”. 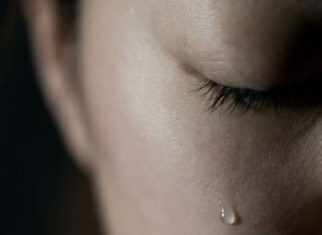 The book covers everything related to dacryology: causes, diagnosis and treatment of the epiphora (tearing). Dr. Ibáñez has written a chapter on scientific evidence in the treatment of obstructions of the inferior lacrimal duct, comparing the endonasal dacryocystorhinostomies and the external ones. The doctor has also written a chapter on the management and treatment of the functional epiphora, summarizing everything written in the scientific literature for the last 10 years. Dr. Graell has collaborated in the writing of a chapter on the epiphora in patients with cataract surgery. Dr. Núria Ibáñez participated as a speaker in the session about Scientific Evidence and was in charge of explaining how to approach an orbital lymphoma according to the scientific evidence provided in the literature. She also took part at the round table on aesthetic considerations in surgery of the anophthalmic cavity where she discussed with other specialists, the best options for patients, providing her large experience at ICR. During the congress of the SECPOO, ICR’s ophthalmologists were in charge of several free and panel communications. Dr. Erika Becerra presented a free communication on idiopathic orbital inflammatory disease and her experience at ICR. Dr. Xavier Graell presented a panel communication on invasive listeriosis with endophthalmitis and meningoencephalitis, emphasizing that enucleation is the solution. 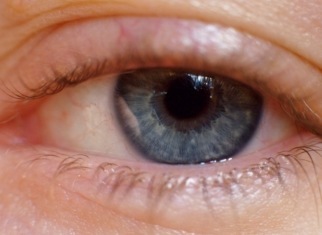 Dr. Lorena Fernández analyzed a case of myositis secondary to a hidden intraorbital foreign body. Dr. María Carolina Bruzual explained how to approach the treatment with a diamond cutter of traumatic facial tattoos caused by explosions of powder. Dr. Carmina Mendoza detailed how to make the diagnosis and treatment of eyelid basal cell carcinomas and also presented a clinical case of basal cell carcinoma metastatic to parotid gland.